Virginia-based BMW experts are ready for new racing season with revised three-car ST lineup and an exciting ST racing and testing development program with the brand-new F30 platform. 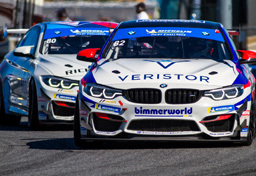 Coming off another successful season of GRAND-AM Continental Tire Series competition, the BMW experts at BimmerWorld are expanding for their fourth season in the wildly popular production-based racing series. The BMW aftermarket and racing specialists from Dublin, Virginia have spent the off-season making more improvements to their trio of proven 328i E90 chassis cars, and with an eye on the future, have added a fourth car to the program using the F30 platform, the latest evolution of the renowned BMW 3-Series. 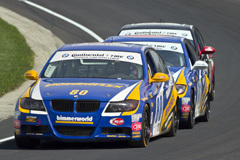 Like its blended E90/F30 program, BimmerWorld will also see a mix of familiar, race-winning drivers returning to the team in 2013, along with a number of new and promising drivers that are capable of adding more hardware to the team’s trophy case. “I think we had a solid team in 2012, with solid cars, and we were a force at all of the tracks last year,” said BimmerWorld team owner/driver James Clay. “With 10 years of pro racing under our belts, our success is developed by improving each year, and 2013 will follow that trend. The vast majority of our people are back, both in our talented crew and our driving staff, and I feel that our people are the foundation of our team. With a number of BimmerWorld veterans set to race with those who are either new to the series, the team, or both, Clay’s outfit will be working hard to develop its driving squad into a consistent and productive unit. Outside of the familiar Nos. 80, 81 and 82 BMW 328i entries, Clay will be partnered once again with John Capestro-Dubets (JCD), one of GRAND-AM’s rising stars, in the new No. 84. Tasked with preparing BimmerWorld’s next wave of F30 ST chassis and aftermarket performance parts, they will lead an intensive program that will have the No. 84 entry splitting its time between a partial season in ST and an active private testing schedule. Clay and JCD will step out of the No. 80 entry they drove to fifth in the 2012 Championship, handing it over to team newcomers Greg Strelzoff and Connor Bloum. Strelzoff, who brings a mix of open-wheel and tin-top experience, will partner with Bloum, who cut his teeth with BimmerWorld’s Club Racing program, as the duo contest their first season of professional competition in GRAND-AM. 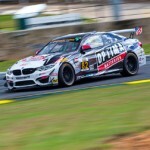 With results that placed all three of its driving tandems in the top 10 in 2012’s final standings, Strelzoff says BimmerWorld’s proven success in GRAND-AM is what drew him to the team. The No. 81 will feature BimmerWorld ace Gregory Liefooghe and new teammate Tyler Cooke. Liefooghe, who scored the win at Round 2 in Alabama with 2012 partner David Levine, is confident that the teenaged Cooke, who comes to the team after showing great promise on his ST debut last season, will be right on the pace when the season opens later this month at Daytona. Presented with the chance to drive with one of GRAND-AM’s best drivers and teams, Cooke expects to turn the promise he showed in 2012 into bonafide results with Liefooghe. For all of the changes in the No. 80 and 81 entries, the No. 82 328i is untouched for 2013 as Seth Thomas and Dan Rogers march into the new season at full speed. As the winners of the ST class at GRAND-AM’s historic first race at the Indianapolis Motor Speedway, the teammates know what it’s like to earn the biggest individual accolades the series has to offer, but now the two, like the rest of the BimmerWorld drivers, will be focused on earning the 2013 ST Championship. Rogers also sees the chemistry inside the cockpit of the No. 82 as being key to their increased success. Racing in a part-time supporting role will be tough for diehard drivers like Clay and JCD, but after closing out 2012 as the strongest driver combination in the category–and playing a central role in delivering BMW the Manufacturers’ Championship, the pair will push their teammates towards immediate success while readying the F30 for what should become BimmerWorld’s 2014 challengers. There’s certainly nothing stopping Clay and JCD from winning this year, but as the young gun says, keeping his target locked on 2014 is what will help the team in the long run. 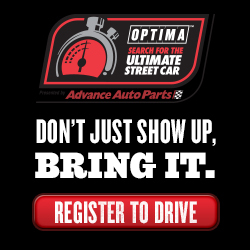 Follow BimmerWorld’s progress at this week’s “Roar Before The 24″ test at Daytona International Raceway at www.BimmerWorldRacing.com.